London, UK – December 21, 2016: Mahindra Comviva, the global leader in providing mobility solutions, today announced the release of the new version of mobiquity® Wallet which comes with an embedded chatbot to assist wallet consumers through their digital payments journey with their banks. The new and improved mobile application provides an intuitive and intelligent conversational interface that helps banks to deliver an interactive and personalized experience to their customers. As per eDigitalResearch, live chat shows the highest satisfaction levels for any customer service channel with 73% compared to 61% for email and 44% for phone. This provides banks with the incentive to leverage digital services like chatbots to provide fast and seamless services to their customers and thus provide higher levels of customer satisfaction. Also, with Gartner predicting that by 2020, customers will manage 85% of their relationship with the enterprise without interacting with a human, a chat-based implementation becomes important now. “The millennials are already attuned to using chats for almost everything, thanks to the advent of the likes of Google Assistant. Bots are already being used by futuristic banks to drive automation for backend processes. Our intention is to help them extend that to the consumer touch points as well,” he further added. mobiquity® Wallet 2.4 will provide chatbot based registration and payments services initially, with further plans to expand the services to include context driven interactions as well as integrate artificial intelligence to drive the consumer journey. The combination of artificial intelligence and a customer friendly interface can help to deliver personalized and contextually relevant solutions across various delivery channels. mobiquity® Wallet offers a feature-rich digital wallet for consumers and a robust and flexible platform for service providers and their partners. It combines innovations in payments with attention to the human factor, behavior-centered experience design, and innovative digital technology. Designed to support a large and complex ecosystem, mobiquity® Wallet enables financial institutions, retailers, telecom operators and other consumer service providers to re-engage and connect directly with their consumers, drive growth, and strengthen their brand by staying abreast of an ever-evolving market and consumer behavior. 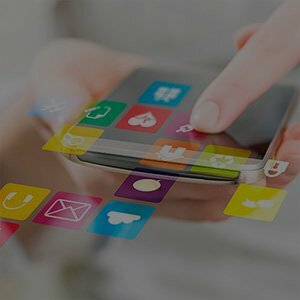 mobiquity® Wallet brings an evolution in mobile commerce by integrating payments, identity, loyalty, mobile marketing, location and social features. It leverages NFC (HCE), BLE, QR Codes, biometrics, geofencing and sound based payments creating compelling consumer experiences. With lots of new consumers being brought on-board the wallet idea, there is a need to cater to an ever increasing number of new customer segments with unique requirements of their own. mobiquity® Wallet platform provides a unique service creation platform which allows for easy customization of customer experience and quick turnaround to the market with these customizations.